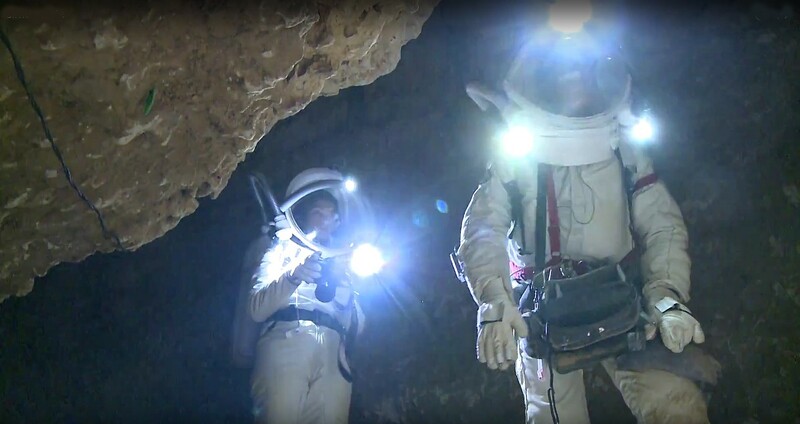 Exploration of the Martian caves will be interesting to look for traces of organic molecules preserved from the ultraviolet and cosmic rays that destroy them in surface up to 1 m deep. And we cannot totally rule out the idea of ​​finding extremophile organisms still alive especially in or near ice. Lava tubes and chasms of volcanic origin of a respectable size (300 m in diameter and 160 m in depth) were detected on Mars without, of course, any knowledge of the underground extensions of these structures. 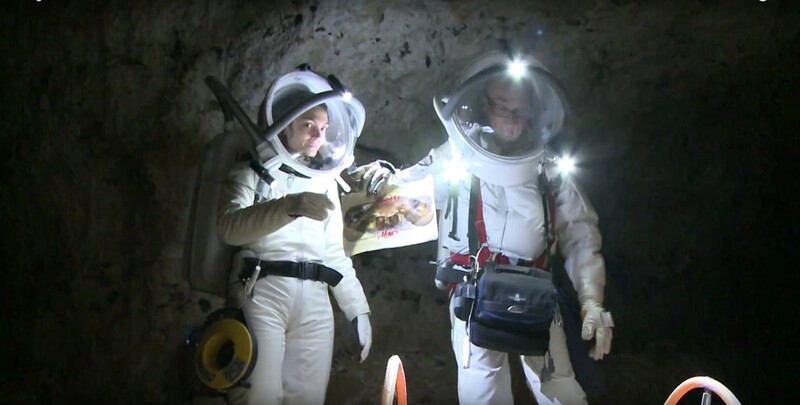 In order to work on this type of exploration, the Austrian ÖWF organized 4 days of simulation and experiments in the Dachstein ice cave in Austria in the Salzburg region in 2012. 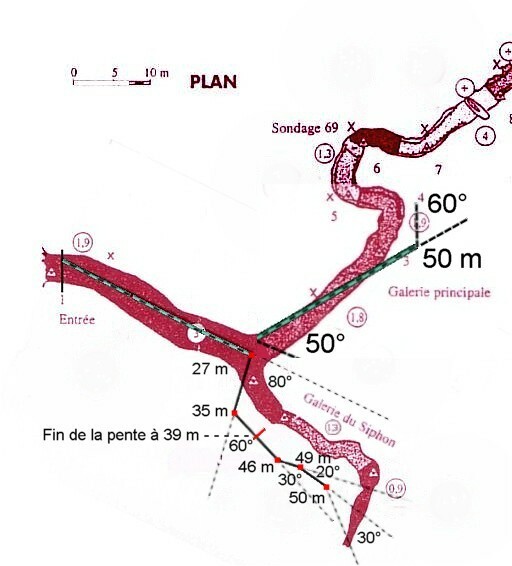 A visit to the Petit-Dales cave in Normandy in August 2014 revealed that it could lend itself to a scenario of exploration of a lava tube, although it is geologically an old underground river . 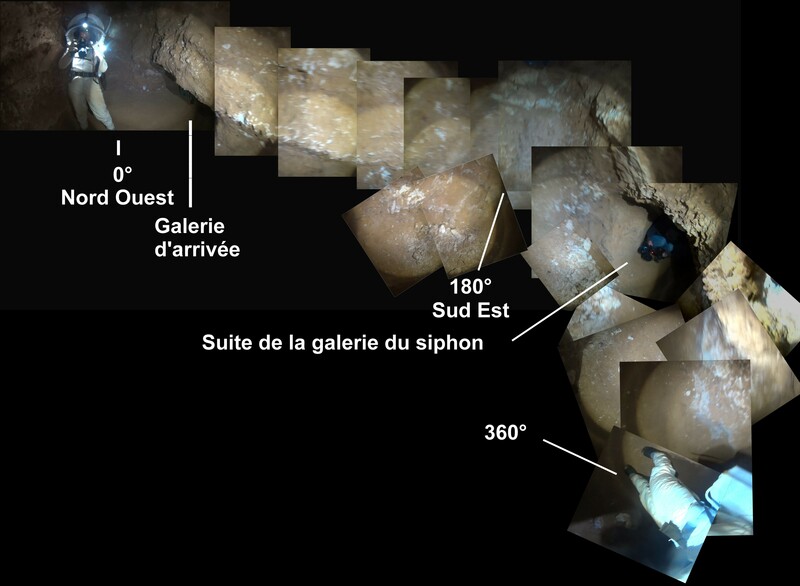 Thanks to the kindness of Jean-Pierre Viard, caving team leader who cleared the cave for decades, a « Planète Mars » team and two video teams were able to access the cave on May 28th 2016 for an exploration simulation of Martian cave. 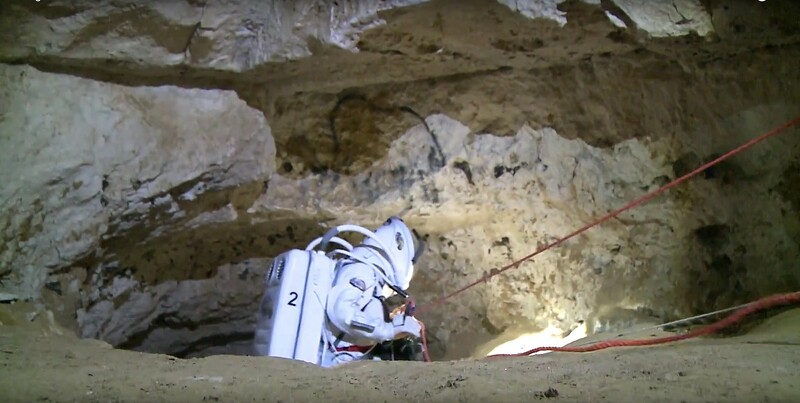 But the objective was also to check the behavior of the simulation spacesuits and the various equipment under conditions more difficult than a simulated EVA in the open air. Some examples of the results obtained are presented below.